Posted June 27, 2015 by William Martin & filed under Headlines. Big Finish has announced a new range of Doctor Who boxsets for 2016, featuring heroes and monsters from the show’s modern era. The releases will include the return of Alex Kingston as River Song for brand new adventures. Doctor Who: Doom Coalition 2 will see River encounter the Eighth Doctor (Paul McGann), alongside Liv Chenka (Nicola Walker) and Helen Sinclair (Hattie Morahan). Kingston will then be back again in Doctor Who: The Diary of River Song. The epic four-hour adventure will take River “across space and time, seeking out the secret rulers of the universe”. Paul McGann will reprise the role of the Eighth Doctor in the boxset’s final episode. 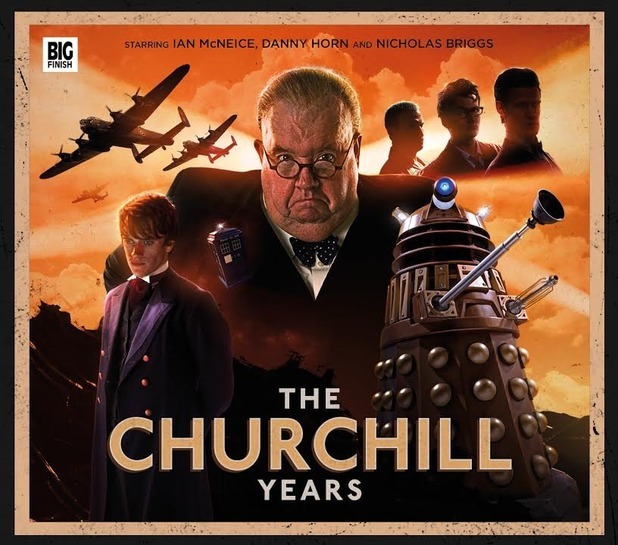 Doctor Who: The Churchill Years will feature the return of Ian McNeice (‘Victory of the Daleks’, ‘The Wedding of River Song’) as Winston Churchill. The four-hour saga sees Winston relate a number of encounters with the Ninth, Tenth and Eleventh Doctors in his memoirs, battling alien incursions, metamorphosing creatures… and a Dalek! Guest actors will include Danny Horn as Kazran Sardick in a story taking place within 2010’s Christmas special, ‘A Christmas Carol’. 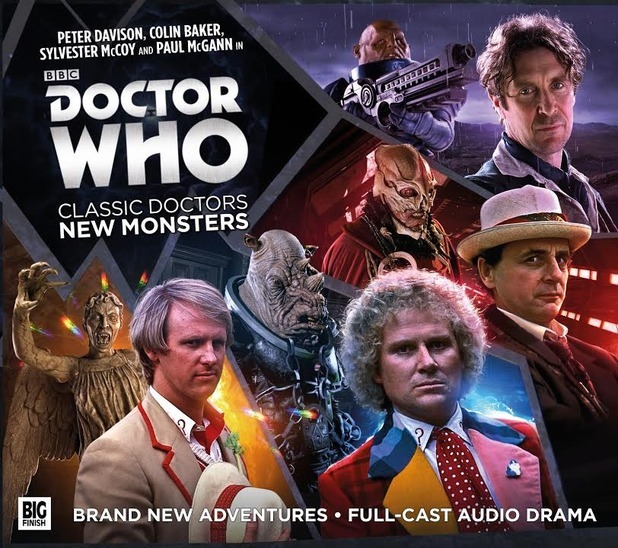 Lastly, Doctor Who: Classic Doctors, New Monsters is a brand new, four-story run featuring the Fifth, Sixth, Seventh and Eighth Doctors facing a new generation of monsters. Peter Davison takes on the Weeping Angels, Colin Baker encounters the Judoon, Sylvester McCoy will meet the Sycorax… and Paul McGann will face a new clone batch of Sontarans on the edge of the Time War…. All four boxsets will be released next year – starting with Doom Coalition 2 in February 2016 – and are available to pre-order today from the Big Finish website. Season 9 has been filming in Cardiff since January and will begin on BBC One in September. I’m really excited about Paul McGann and Alex Kingston in a story together. Big Finish make some of the best Doctor Who stories out there, so it’s so wonderful that they’re getting to play with characters and monsters from the new series as well as the classic. How can River meet Doctors prior to 10 without contradicting their meeting in the library? He had no idea who she was when they met at the library. I could see him forgetting a brief meeting, but if they had an adventure together, there’s no way the Doctor could not remember. Her personality is just too powerful. The full synopsis for Doom Coalition reveals that River helps the Doctor whilst knowing that she cannot meet him. How does she know that she can’t meet him? Wouldn’t that mean foreknowledge of her fate in the library? Might have to pick it up just to see how the writers handle that. It sounds like they might be trading one continuity problem for another, but a good writer should be able to avoid that. I am more tempted by these than any other Big Finish release, especially (surprisingly) the Churchill set. But I can’t be the only one totally put off by the price point they are sold at? I don’t know enough about the audio drama industry to know if this is usual, but £20 for four hours of drama seems ridiculously expensive to me (I’d think twice before shelling out that much for 10+ hours of television). Perhaps a crowd-funding model for new productions would offer better value-for-money all round? I agree, the thing that stops me listening to them is that they are just too expensive. 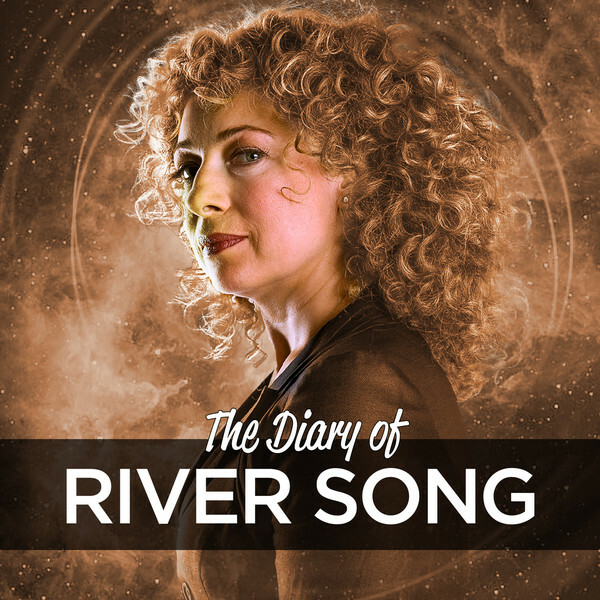 Does happy dance – River Song is back, River Song is back. These are going to be awesome. How do we get Matt back now, though? I’m sure he’d jump at the chance but probably just too busy. Hmm, only down side might be that this means we won’t get River and 12 together though on television. But, still, River Song is back!!!! So that’s River, Torchwood and Kate Stewart’s UNIT. Things are looking more and more promising for getting Doctors War onwards. Good job Big Finish, I haven’t been this excited by their new audios in a long time!